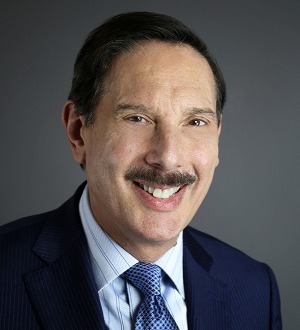 Lawrence I. Richman’s practice involves advising entrepreneurs, tax-exempt organizations, fiduciaries and high net worth families on estate, gift and charitable planning issues, including business succession, tax-efficient ownership structures, sophisticated tax-exempt structures, trust and estate administration, executive benefits, life insurance and international estate planning issues. Larry has served as chairman of the Trust Law Committee of the Chicago Bar Association, and is a frequently published author and speaker. He is also the Estate and Succession Planning columnist for the CCH Journal of Passthrough Entities. Larry has been recognized as a leader at the national level in Chambers USA: America’s Leading Lawyers for Business (recommended in “Wealth Management”) since 2006. He has also been named for inclusion within Super Lawyers, Who’s Who in America and Who’s Who Legal: The International Who’s Who of Business Lawyers. He was named to Worth magazine’s 2006, 2007 and 2008 “100 Top Attorneys” nationwide list in recognition of his private client work advising entrepreneurs, tax-exempt organizations, fiduciaries and high net worth families on estate, gift and charitable planning issues. In 2008, Larry was elected as a Fellow to the prestigious American College of Trust and Estate Counsel (ACTEC). ACTEC Fellows are elected to the College by demonstrating the highest level of integrity, commitment to the profession, competence and experience as trust and estate counselors.